How can 50 million Americans not know where their next meal is coming from while 40 percent of food gets wasted? Millennial social entrepreneurs are cooking up solutions. Rachel Sumekh, 24, co-founded Swipe Out Hunger, which allows college students to donate excess dollars on their meal plan to fellow students in need or to the broader community. Brianna McGuire, 26, co-founded Foodfully, whose app aims to eliminate household food waste, alerting users when their food is about to go bad and providing recipes for soon-to-spoil items. 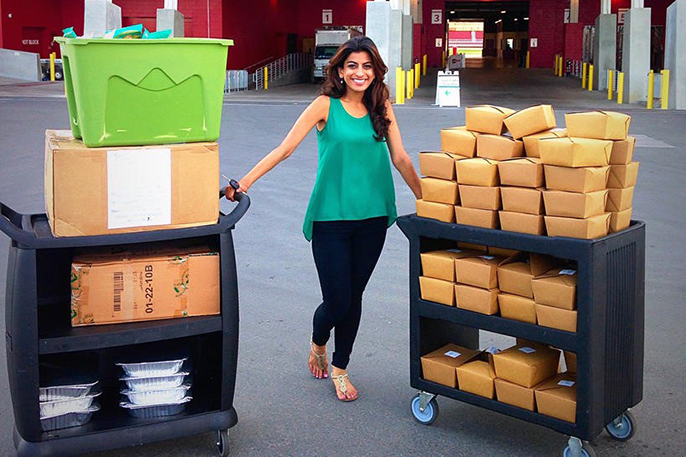 Millennial social entrepreneurs are seeking to reduce hunger and food waste, such as Komal Ahmad, founder and CEO of Copia, a food recovery business. 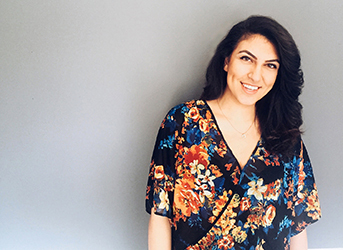 Komal Ahmad, 26, founded Copia, a food recovery business that builds on the ideas behind Match.com and Uber to connect, in real time, those with excess food to those in need of it. Tapping into their generation’s intersecting interests in food, technology and social activism, these young social entrepreneurs are making their mark. Sumekh, McGuire and Ahmad — all University of California alums — are among the winners of the inaugural UC Global Food Initiative 30 Under 30 Awards, honoring 30 young innovators trailblazing to solve the global food crisis. Millennials want more authenticity and transparency in their food — values that go beyond taste and cost, said 30 Under 30 judge Josette Lewis, associate director of the UC Davis World Food Center. When Ahmad was a student at UC Berkeley, she met a homeless veteran on the street, bought him a meal and watched him scarf it down. She listened as he said he had been waiting for his VA benefits to kick in and hadn’t eaten in three days. She worked with Cal Dining’s executive director — overcoming concerns about liability by pointing out the protections provided by the federal Good Samaritan Food Donation Act — and started the nation’s first food recovery organization on a college campus. Finding the right match for donations proved difficult. When a dining hall manager called to offer 500 leftover sandwiches, she rented a car and called nearby nonprofits to see who wanted the food, but only found takers for 25 sandwiches. “Why is donating food so hard?” Ahmad asked. “I thought, ‘How could I connect those with excess edible food and those who need it?’” Her frustration became the source of her inspiration. She founded and became CEO of Copia, named after the Roman goddess of abundance. The technology- and logistics-based social venture, buoyed by a Big Ideas @ Berkeley award and stint at UC Berkeley startup accelerator SkyDeck, uses its website and mobile app to connect businesses and events with excess food inventory to communities in need. To date, Copia has recovered more than 800,000 pounds of food from businesses, universities and events to feed more than 700,000 people. The public benefit corporation currently serves the San Francisco Bay Area and plans to expand nationally and then globally. “We’re both for-profit and for-purpose. We believe in doing well and doing good … and by doing so, we solve the world’s dumbest problem: hunger,” Ahmad said. ​Big Ideas, which helped propel Copia, ​has become ​​one of the largest university-based social ​innovation competitions in the country. Since 2006, Big Ideas has awarded $1.6 million in seed funding to 340 winning student teams, which have gone on to secure more than $​100 million in additional investments. One of the contest’s most popular categories is Food System Innovations, begun two years ago with Global Food Initiative support. 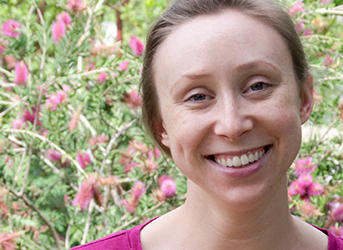 McGuire, another Big Ideas winner, moved to UC Davis to become a graduate student, where she used precision weather modeling to reduce fungicide applications in vineyards and caught the entrepreneurial bug. She co-founded Foodfully with fellow UC Davis scientists and engineers to help eliminate household food waste. As McGuire balances her part-time work in a UC Davis plant pathology lab modeling citrus, strawberry and tomato diseases, the Foodfully CEO and her team are eager to build their company. Foodfully, also a winner of the UC Davis Big Bang innovation contest, is in beta testing now with nearly 1,400 people and hopes to have the app available in stores later this summer. UC Davis is trying to increase entrepreneurial activities around food and ag innovation, leveraging its proximity to Silicon Valley with its top-ranked teaching and research programs in agriculture. Efforts range from hosting an Apps for Ag hackathon — which also has partnered with UC’s Division of Agriculture and Natural Resources — to encouraging entries in the UC CITRIS Mobile App Challenge to developing an entrepreneurship boot camp for ag and food. The results can be game-changing, Lewis said. Reflecting student interest, UCLA and UC Berkeley have just launched minors in food studies. The Berkeley Food Institute has 130 affiliated faculty and staff, including lecturer Jaspal Sandhu, a 30 Under 30 judge who co-leads the popular Eat.Think.Design course. The innovation course has attracted a range of students from 30 Under 30 winner Sophie Egan, who now works with The Culinary Institute of America, to ones who have started a company called Farmcation, an Airbnb for food-conscious consumers to connect to real farm experiences. The path may not be easy, but Sandhu encourages students to stay committed and stick it out. Sumekh has shown that commitment. She and two friends got the idea for Swipe Out Hunger while students at UCLA, noticing that students often left unused points on their meal plan while there also was a need to combat hunger in the community as well as on campus. They set up a table to give students to-go boxes of food they purchased from the dining hall. The dining director initially objected to this reuse, but became a supporter after the program was endorsed by student government and received university approval. After graduating from UCLA and spending a year doing social work in Chicago, Sumekh took a leap of faith in 2013 and committed full time to Swipes, becoming its first paid employee as executive director. Sumekh has been told she’s “too nice” to lead Swipes but has grown the nonprofit to 20 chapters, including four at UC campuses, with plans to expand to all nine undergraduate campuses, as part of UC’s Global Food Initiative. Named a White House “Champion of Change,” Swipes has now served 1.2 million meals across the country. Swipes shows the power of young people, Sumekh said. She encouraged others to rethink using other existing resources in new ways for social good. Watch the video below featuring Komal Ahmad and others taking on the issue of food waste to help the climate and get food to the people that need it.